Full Throttle Fall Weekend is back by popular demand for second year with a new race sponsor. New Hampshire Motor Speedway's Full Throttle Fall Weekend is back by popular demand on September 20-21, featuring two days of heart-pounding short track racing. Whelen Engineering Company, longtime speedway partner and leader in the emergency warning industry, has added its name to the main event's marquee. 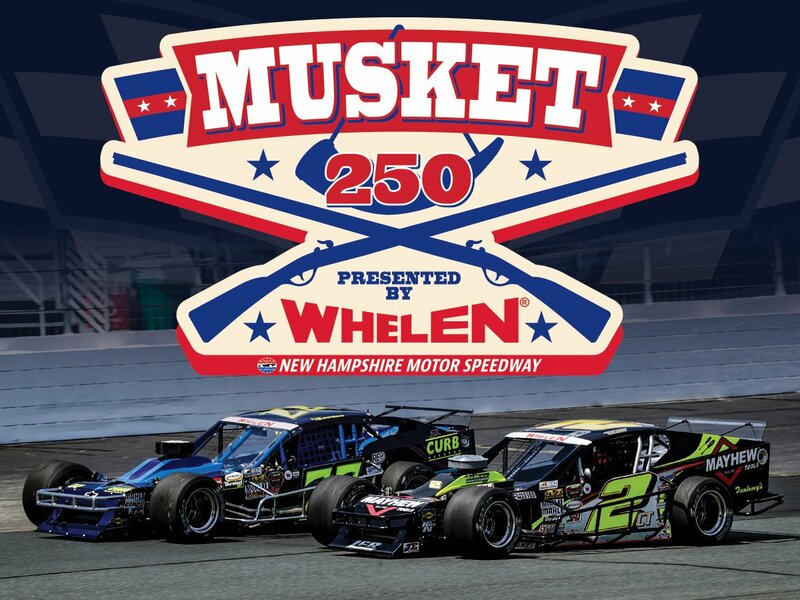 The two-day event will be headlined by the NASCAR Whelen Modified Tour who will take center stage for the longest mileage and richest purse race on the Tour - the Musket 250 presented by Whelen on Saturday, September 21. "We are thrilled to build on our already longstanding partnership with a company as innovative as Whelen," said David McGrath, executive vice president and general manager of New Hampshire Motor Speedway. "Our Operations and Maintenance teams rely on Whelen products every day to ensure the safety of our staff, guests, drivers and fans, and what better way than to add their name to the most intense race on the NASCAR Whelen Modified Tour." Whelen has been a longtime partner of New Hampshire Motor Speedway dating back to when the facility opened in 1990 and served as the entitlement sponsor for the Whelen Modified All-Star Shootout in 2014 and 2017. All of the speedway's safety equipment, such as cleanup trucks, jet driers and sweepers, are outfitted with a variety of Whelen lights. Additionally, the green, yellow and red warning lights used to keep the drivers safe on the race track as well as other portable lights used around the NHMS grounds are all from Whelen. "We are very excited to continue our relationship with New Hampshire Motor Speedway," said Peter Tiezzi III, motorsports general manager at Whelen Engineering Company. "Full Throttle Fall Weekend will continue to deliver exciting racing for everyone in attendance." The NASCAR Whelen Modified Tour Musket 250 presented by Whelen serves as the main event in a tripleheader weekend of racing that also features the NASCAR Pinty's Series in only their second appearance in the United States and the NASCAR K&N Pro Series East racing in the Apple Barrel 125.